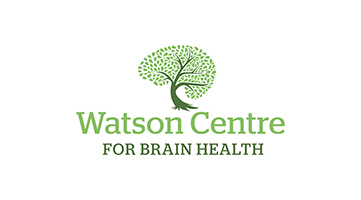 At Watson Centre Society for Brain Health (WCSBH), our mission is to improve the lives of people who have suffered a brain injury or concussion(s). Our team of specialists works with clients to develop customized programs that stimulate the brain’s capacity to grow and change. WCSBH is a non-profit organization that uses a rehabilitation program based on a four pillared approach that is focused on improving quality of life through increasing capacities. The four pillars include cognitive training, physical exercise, meditation and counselling to help people living with a brain injury or concussion(s) reclaim their lives to the fullest. Our approach is focused on cognitive, physical and emotional healing. Our program adopts components of BrainEx™ combined with meditation, physical exercise and counselling to increase function in specific areas of the brain that may be damaged or underperforming. BrainEx™ was originally developed by Barbara Arrowsmith-Young in 1980 to help develop weak cognitive areas through specific exercises that strengthen the brain. Address: Fortius Sport & Health, 3713 Kensington Ave.